In the latter days of the 19th century, the Universalist Church of America founded a new adjunct organization to serve the needs of its young adults. It was named the Young People’s Christian Union. Universalists under the age of 35 were eligible for membership. The Reverend Harry Canfield, our minister until 1896, and his wife Mary Grace both served as early national officers in this organization. In the summer of 1900, the group met in a national convention held in Atlanta. After the conclusion of that gathering on July 19th, delegates from the states of Michigan, Minnesota, Ohio, Indiana, Illinois, New York, Wisconsin and the District of Columbia converged on Cincinnati for a one-day whirlwind tour of the city. They were greeted at the train depot by a committee from our church which included pastor Harry Blackford, W. J. Littell, Flora Miller and Sarah Schoonmaker. As reported by the Cincinnati Enquirer, a quick breakfast was served and the group numbering 250 young Universalists then left by trolley car to tour Clovernook, the home of the Universalist poets, Alice and Phoebe Cary. (Note: this home still exists at 7000 Hamilton Ave. as the Clovernook Center for the Blind and Visually Impaired.) Following this visit, the group then toured Rookwood Pottery and the Cincinnati Museum of Art. Traveling up to Walnut Hills, the young people were served a lunch at the recently built Essex Street church. 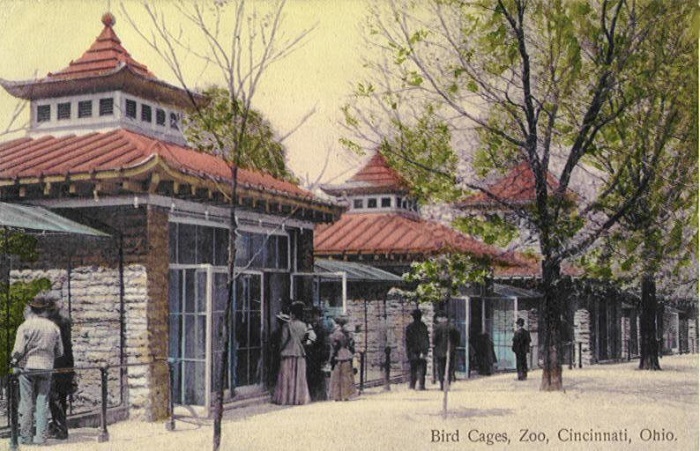 Next, the group visited the Cincinnati Zoo. Afterwards, they returned to the church for a festive song service and rally. They were addressed by Reverend Grear, who was the main organizer of the national Young People’s Christian Union. They also heard remarks from “Aunty” Brown, a venerable Universalist lady from Akron who was assigned her nickname by students at Buchtel College. The final speaker was Miss Catherine Osborne, a Universalist missionary to Japan, who described manners and customs of the Japanese people. Osborne was the main force behind the opening of a Universalist residential missionary school for girls in Japan. Supper was then served at the church and after the meal, the 250 guests descended to the city depot to catch overnight trains to their various destinations. They probably slept well on the trains that night.